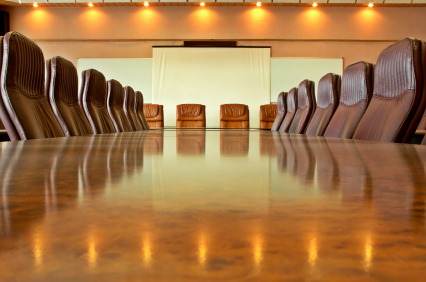 Boards today are faced with a complex range of industry, regulatory, and governance challenges. At the same time, their actions are under intense scrutiny from shareholders and regulators. Tom Wajnert works as a Director to improve efficiency and effectiveness, navigate compliance demands, and strengthen oversight performance. Tom has an in-depth understanding of corporate governance issues through his board service with several corporate organizations. In his role as founder, chairman, and CEO of AT&T Capital Corporation, he was responsible for recruiting the initial directors, forming the board, and establishing the company’s corporate governance principles before it was listed in 1993 on the New York Stock Exchange. In 1995, he established the board’s special committee, working with the committee and AT&T in a time when AT&T expressed an interest in divesting its majority ownership. He later led the management buy-out of the company. Tom works with boards to improve efficiency and effectiveness, navigate compliance demands, and strengthen oversight performance. At NYFIX (Nasdaq), Tom joined the board shortly after a major restatement and soon found himself providing leadership through two special committees in the company’s stock option accounting investigation, subsequent SEC investigation, and shareowner derivative actions. Through this period, the company changed accounting firms and the CEO and CFO were replaced. Later, Tom provided leadership to a major private investment in public equity (PIPE) transaction when Warburg Pincus made a substantial investment in the company. He serves also as Chairman of Financial Guarantee Insurance Corporation (FGIC), a large, privately owned financial guarantor. Tom was involved as a nominated director in two proxy contests. In the first, Exelon (NYSE) did not prevail in its proposed acquisition of NRG (NYSE) and, in the second, Validus (NYSE) was successful in its proposed acquisition of IPC, another Bermuda based reinsurance company. The experience of being involved in two hostile situations with decidedly different outcomes has been an invaluable experience in an area of corporate governance that may become more prevalent if shareowners are enabled to nominate directors directly.